Very elegant dining chair, leather covered. With extra-ordinary sitting comfort. This design variant of the Nobile – a chair fully covered with soft leather – gives the Nobile-family an almost unlimited variety. The extra-ordinary sitting comfort is possible due to the flexible backrest and a new variant of soft upholstered seat and back. 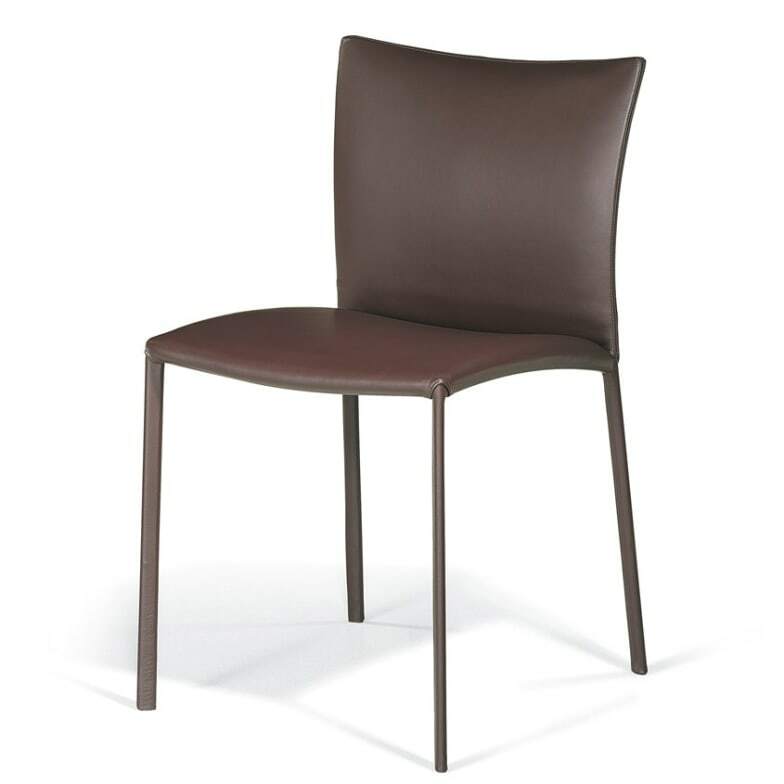 This chair from glove-soft leather in 60 colours is suitable for the living and also for the object area. This sophisticated completion of the existing core leather collection makes Nobile an all-rounder, imaginable in the most differing ambiences. The backrest is available in 2 heights. Do you have a question about "Nobile Soft 2076"? How can we contact you?